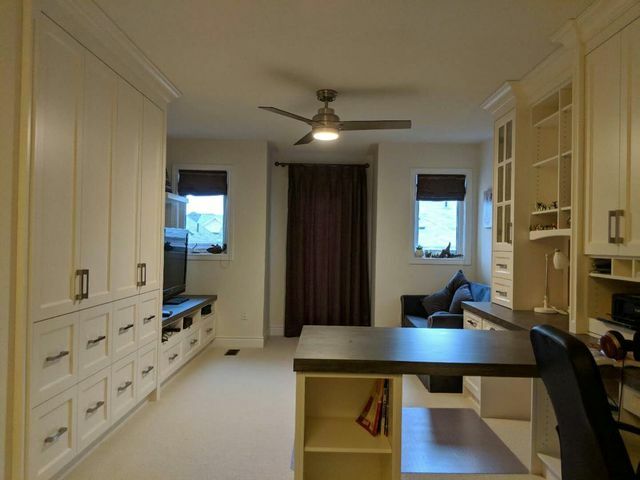 Very satisfied with the Kitchen renovations, Michael was very helpful with his suggestions and recommendation would recommend him to anyone that asked. The contractor as well Jay is wonderful and very professional. As a matter of fact I was so happy with them that I asked them for Bathroom cabinets and hired the same contractor to complete all three bathrooms. Thank you Olga! It was great working with you again, we are thrilled that your first experience was so notable that you went ahead with more renovations. We appreciate your recommendation and hope to hear from you again. Enjoy your new bathrooms! We love working with our clients and are delighted to hear that you selected us for your project because of our team. It was a pleasure meeting with you and providing a beautiful vanity for your master bathroom. We hope you enjoy it for many years and look forward to hearing from you again in the future. We wish you and your family all the best! Thank you for your review! 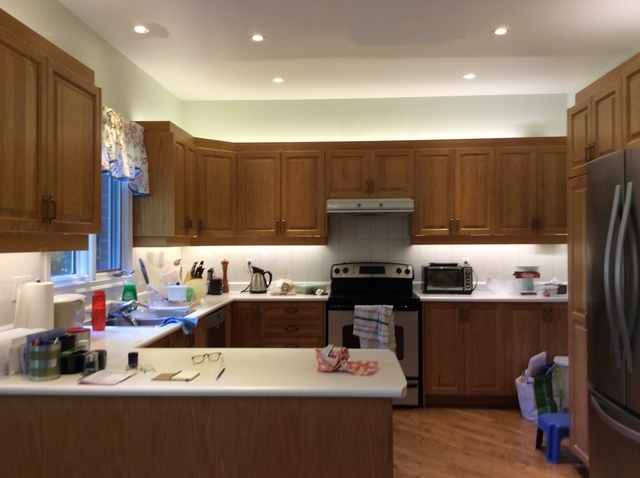 We use top quality materials for all of our cabinets so that you may have long lasting results. We are pleased to hear that you had a great experience and are looking to do future projects with us. We look forward to it as well, hope to hear from you soon! Neo Kitchen is great! we love and very impress our new kitchen, Michael and his team are very professional & the price is reasonable for us. Thank you so much Michael and his team. Thank you Ross and Sanny, we hope you enjoy your new cabinets! Hope to hear from you again soon! Neo Kitchen is great! We have a nice conservation with Michael. he is understanding of every needs we require and offer a reasonable price fo r us,and with a short wait period! We are glad to hear that Michael was very helpful discussing your project with you. We always want to give our clients amazing quality at great prices, and within a good time frame. Hope to hear from you again! 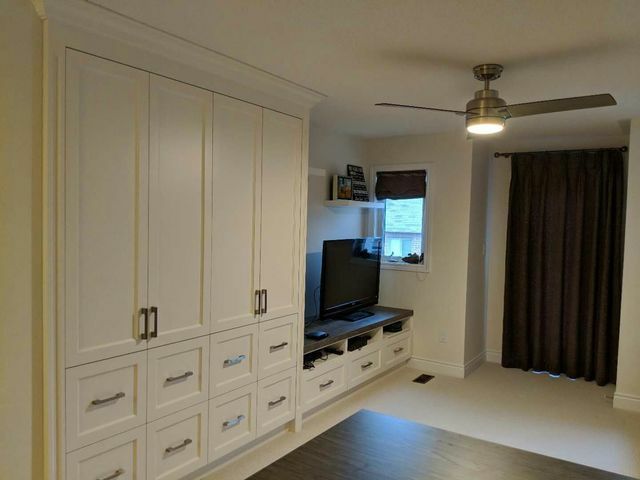 We reviewed a design we wanted with Michael and after a really professional installation by the installers at Neo Kitchen, we are thrilled with the result! We now have a beautiful and functional built-in and fireplace that are a wonderful focal point in our room. 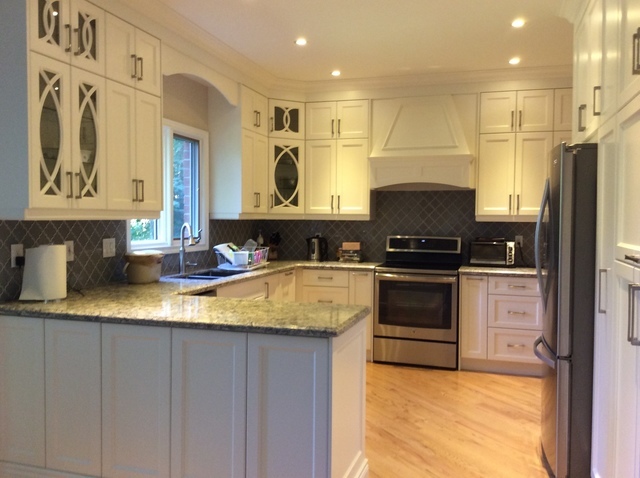 We would highly recommend Neo Kitchen for any cabinetry project. They were a pleasure to work with and very professional. 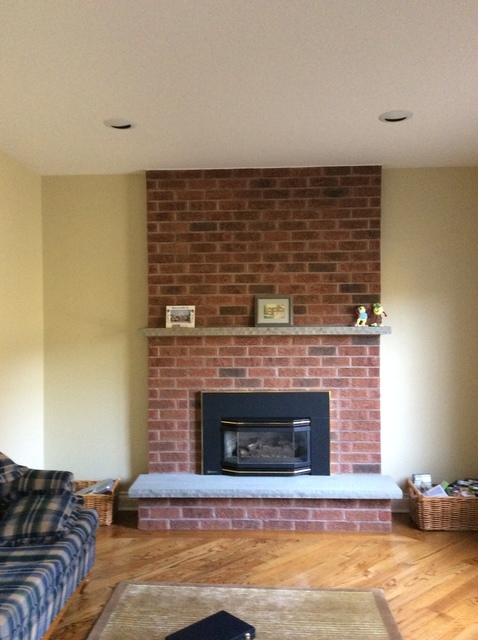 We are so happy to hear that your fireplace is stunning, I'm sure all of your guests will be drawn to it! Thank you for your recommendation, we love to show our creativity and professionalism in every project we work on. It was great working with you and we hope to hear from you again! Kitchen, bathroom, laundry room and additions cabinets in the livingroom. Thanks so much to you, Michael and the kitchen and bath installer. Our kitchen, newly installed cabinet and the rest of the work that was done by Neo Kitchen is now complete and could not look better. All the work was professionally done. 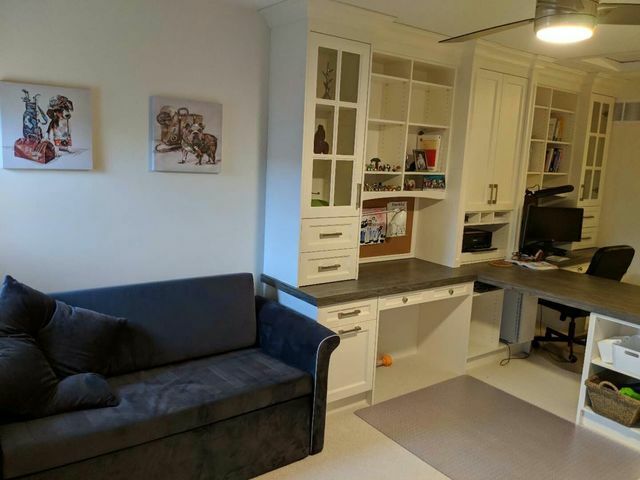 It is so beautiful that everyone has commented on the looks, functionality and the amount of storage in a small apartment kitchen. Absolutely amazing!!! I will definitely give more people your number and and will be very proud of you and your work. You individually and as a team are delight to work with. The first job you did on 8 Lorene Dr was amazing, now I can rightfully say that Neo Kitchen does a great job regardless of spaces. Thank you so much for your kind words. It was our pleasure working with you, and we are glad to hear that each of your project results were fantastic! We love beautiful looks and plenty of storage to create ultimate functionality. In these projects we reflect the work that we love to do and always do our best to meet client standards. Thank you for recommending us, we look forward to hearing from your friends. All the best to you and your family! We rate Neo Kitchen Inc. the EXCELLENT Cabinet maker. Starting from the Owner Michael Wang’s first visit to our home to discuss about total kitchen renovation based on our need and expectation. We visited show room to view the kitchen design; proposed three dimensional proposed architecture of our renovated kitchen was very practical, functional, economical and very impressive. Michael answered all our questions with patience and explanation. If we were wondering about the cabinets style and material used, Michael gave us different options and gave his view on best looking kitchen. Michael was very patient and available until we made a final decision to select cabinets, countertops and single unit back splash. Michael and his staff were very flexible in execution of installation, very courteous and professional. During installation Michael was always available if need arise. Michael has an excellent team to carry out and complete the project. At reception desk Gabriala coordinated the project very well, she was always very friendly, helpful, available and happy to answer any question we had. Michael’s cabinet installer Zuo Wei Chen is very skilful and talented. All installation crew Zuo Wei Chen, Ken Sun, Lan Hui and Mr. Lee, they all did their work with pride and excellent finish. We were very happy with their service. Also we were very happy with Elane’s design of our countertop. Same was true for countertop and backsplash installers. •	The general contractor we hired gave us lots of nightmare but without the help, patience and cooperation of Neo Kitchen the entire project would have fallen apart. Keeping in mind we are senior and we much appreciate the cooperation of Neo Kitchen for total renovation of our kitchen and powder room. Your respectable and detailed review is much apprecaited! We are so happy to know that we left such a valuable impression on you, and that our team has earned your trust. The outcome of your project is beautiful, functional and will last for many years to come. 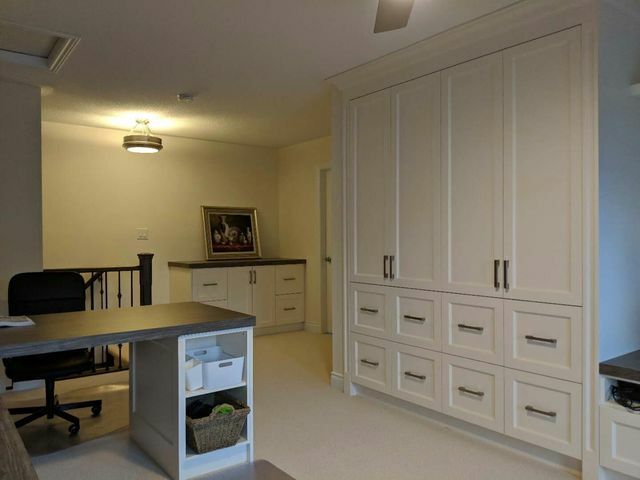 It was our pleasure providing you with excellent service and top quality cabinetry, we work hard to achieve these results for all of our clients. We wish you and your family all the best, and hope to hear from you again. So pleased with the install of 3 vanities for my home renovation. I looked far and wide for a company with reasonable pricing, great service and quality products and so happy to have found Neokitchen when I did. Michael took the time to listen to what we were looking for and frankly designed a dream master vanity that exceeded my expectations and also came in under my budget to boot! He made the recommendation to utilize a kitchen style pull out spice rack for my blow-dryer and hair straightener - what a great, creative suggestion that really works beautifully for what I need. I can’t wait to show my friends - they are going to be so jealous! The other two vanities were also great quality. Gaby the receptionist was also very responsive, courteous and professional. Overall a great experience with Neokitchen and would use them again! We are so thrilled to hear that you got the vanity of your dreams. With the creative organization style, we are sure it will be a hit among your friends! Thank you for choosing us to be part of your home renovation project, we are proud to have provided you with top quality vanities and professional services. We would be more than happy to assist any new projects you may have in the future. Hope to hear from you again soon! 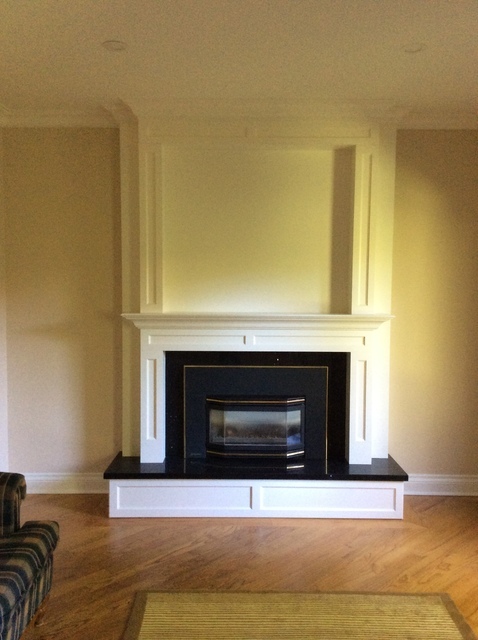 Neo Kitchen installed new cabinets in my kitchen as well as crown mouldings and a new fireplace surround in my living room in April 2018. 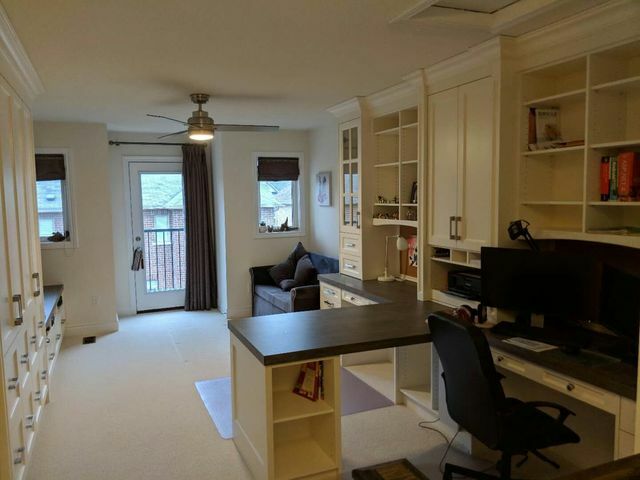 Michael was extremely pleasant to deal with and made a potentially stressful renovation remarkably easy. His assistant, Gaby, promptly returned my calls, provided answers to my numerous questions and helped keep everything on track. First, Michael sent someone to measure the kitchen, then he scheduled an appointment in his showroom to discuss the plans with me. At the appointment he showed me detailed 3D plans (prepared for me at no cost, unlike several other companies which charge for this service) and then made adjustments based on my comments. 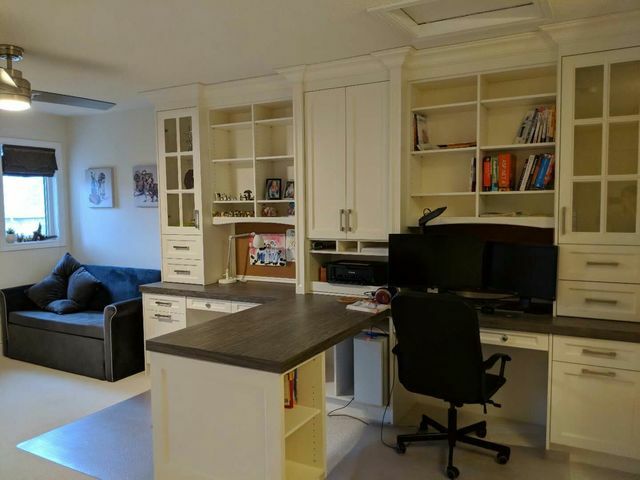 He provided me with a fixed price at the appointment which included both the basic cabinetry and a wealth of extras such as a pullout pantry, rollout shelves and a magic corner. I had already received several estimates from other contractors but none were as detailed, as professional or with as creative a design as Michael. His pricing was also extremely competitive and he did not "nickel and dime" on small adjustments even when I picked a more costly option. I chose not to work with an independent kitchen designer so I appreciated Michael's valuable input and, particularly, his fearlessness in speaking up (very politely!) if he thought I was making a poor choice (he was invariably right!). Michael was flexible about changing the installation date (twice! ), once to accommodate my vacation plans and the second time to accommodate my general contractor. Installation was very speedy (about 3 days) for a reasonably large kitchen and Michael promptly sent workers back twice to fix minor issues (a few days after installation and, again, at the end of my project once all the other trades had finished). Having now lived with the kitchen for several months, I can attest to the high quality of the design, materials and workmanship. 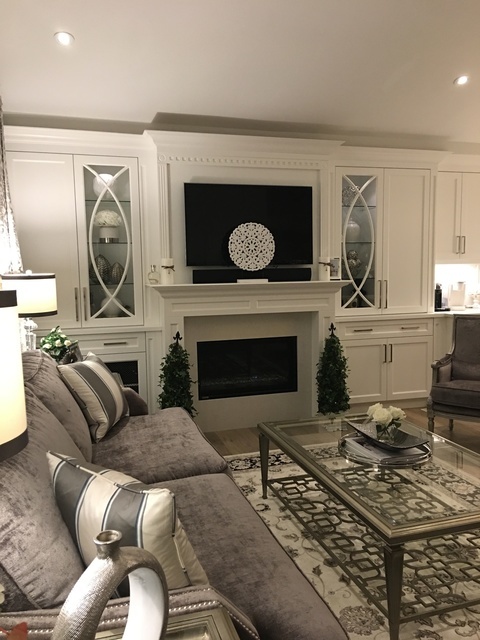 Renovating the fireplace was an afterthought but Michael rose to the task magnificently and worked up a design which modernized our family room while preserving our existing gas fireplace. I would highly recommend Neo kitchen for their professionalism, quality, attention to detail, value and after sales service. I am posting "before" and "after" photos so you can see the huge difference. It was our pleasure working with you! We are delighted to hear that you are happy with your kitchen and fireplace cabinetry, and have received exceptional customer service. Here at Neo Kitchen we aim to achieve these results for all of our clients - lucky for us you made the process effortless. Thank you for your kind review, we appreciate that you noticed the little details in our consultations and workmanship. Warm wishes to you and your family, we hope to hear from you again. The kitchen is a vital component in any house to create memories, and we ensure to build a kitchen that combines both accessibility for a smooth cooking experience, and design into the space to show your taste for family and friends. Every Neo Kitchen design is ensured to represent your ideas and plans, but also integrates our designer’s knowledge-leading to a elegant and functional kitchen! Everything is custom built in house with love and profession, which is vital in the production of a unique kitchen, and this proves the dedication we have to each and every customer. Our main approach is to provide leading customer service and ensure overall satisfaction in every kitchen we manufacture to give you the most headache free kitchen renovation. At Neo Kitchen, we incorporate many aspects of design-like modern, antique, rustic, classic, industrial, etc. that cater to our exclusive and unique customers! The personalization of each kitchen is what makes Neo Kitchen distinctive from other kitchen manufacturers. We not only do kitchens, but also bathroom, closets, wall units, laundry rooms, etc. Every Neo Kitchen production is elegant and timeless with affordable prices. Our work reflects hard craftsmanship, technique, and expertise which is delivered to every customer! The designer is always present when customer’s walk-in ensuring what they have in mind can come true. Discover how Neo Kitchen is the perfect fit for you-and your kitchen. We offer free consultation (measurement), and design-so while you are deciding you pay nothing. Come on the journey with us and let Neo Kitchen show you its capability!